Harley Earl (right) was a pioneer in the world of automobile styling. 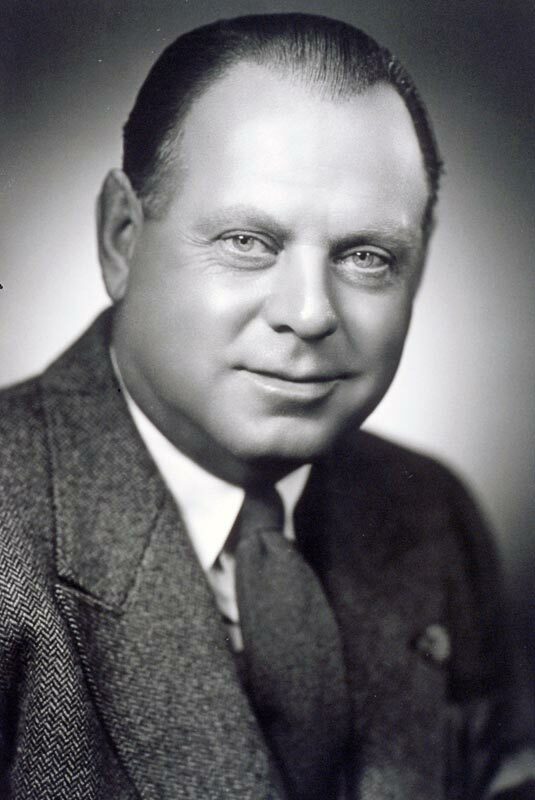 He was instrumental in transforming the automobile from an exclusively engineering endeavor, introducing the concept that appearance should be part of the package. He was the head of the "Art and Colour" division at GM when it was first formed in 1927, which was the start of the concept that aesthetic design was important. Harley's early work included the 1938 Buick Y-Job; he was also an early supporter of Project Opel which became the Corvette. 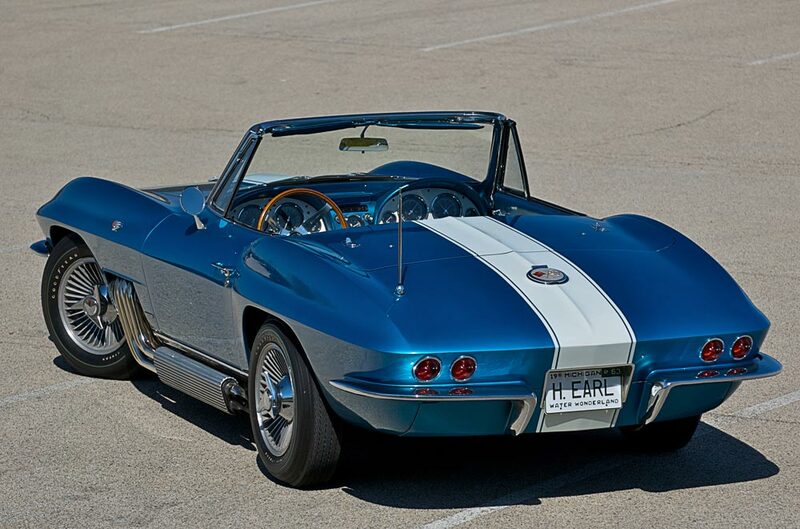 Earl retired in 1958 but stayed on with GM as a consultant and in 1963 GM gave him this personalized 1963 Corvette Sting Ray which was modified by the GM design staff. He drove it regularly for two years and then sold it to a Army veteren. It's history goes blank from there to 1973 when a racing group purchased it without any real idea as to it's history. A bit of research uncovered its origins and it was restored to the high standard seen here. 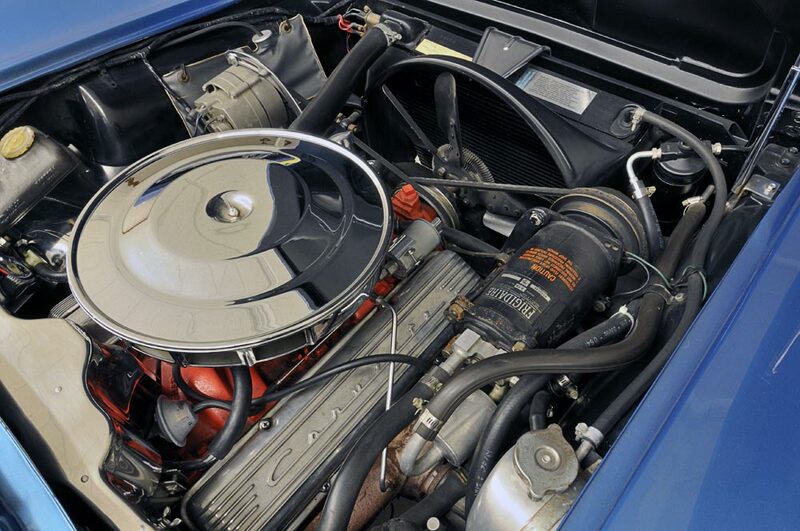 Mr. Earl's special Corvette was originally equipped with a fuel injected motor but was replaced with this less brutal 300 hp carbureted version. 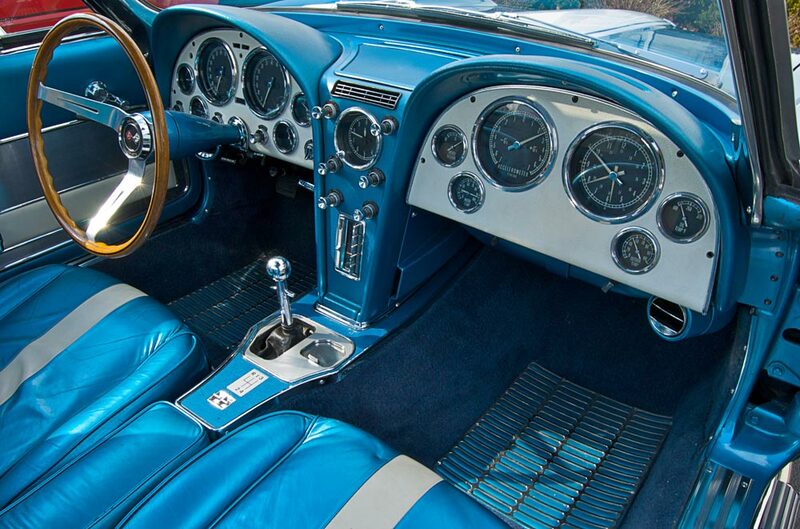 Note the air conditioning; this was a rare option in 1963, with only 278 (1.29%) of 1963 Corvettes so equipped. 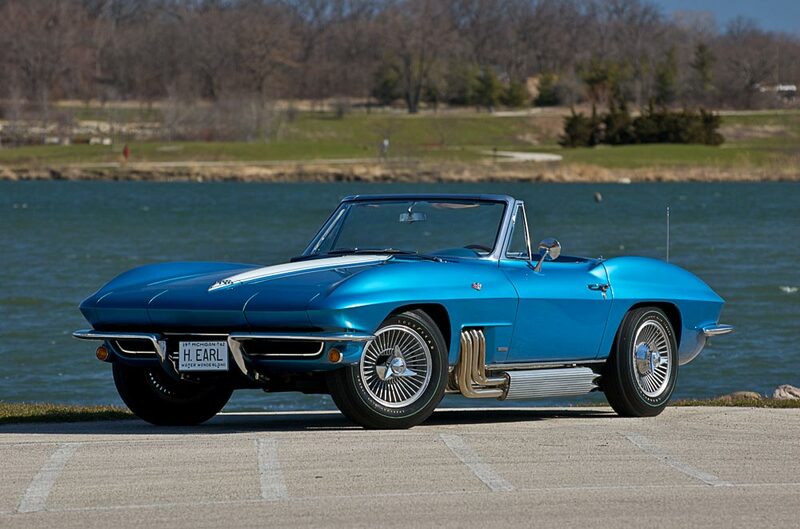 Although clearly a 1963 Corvette, (it has the bumps in the door for mounting the door handles, for example) it featured some items that were not available until later in Corvette production. 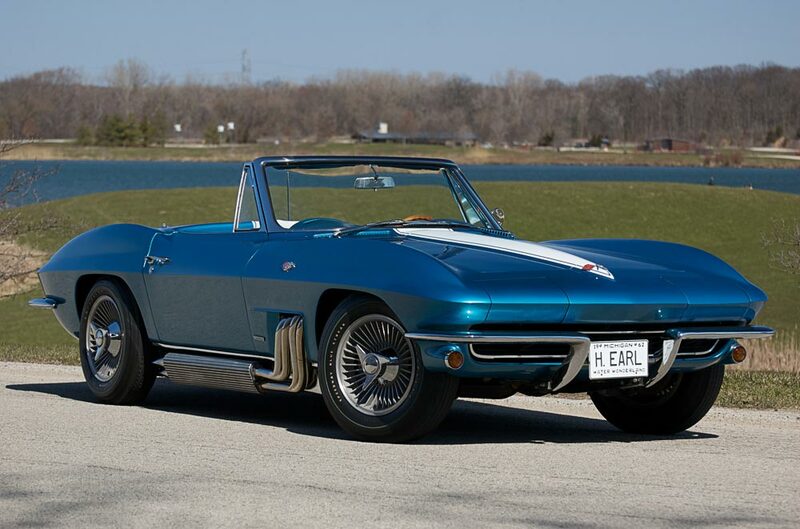 This included knock-off wheels, which although they were listed as available for '63, no Corvettes were built with them. Also included were four wheel disc brakes, which would not be part of Corvette production until 1965. The hood is a later small block style. The original paperwork lists the body color as Riverside red with red interior. 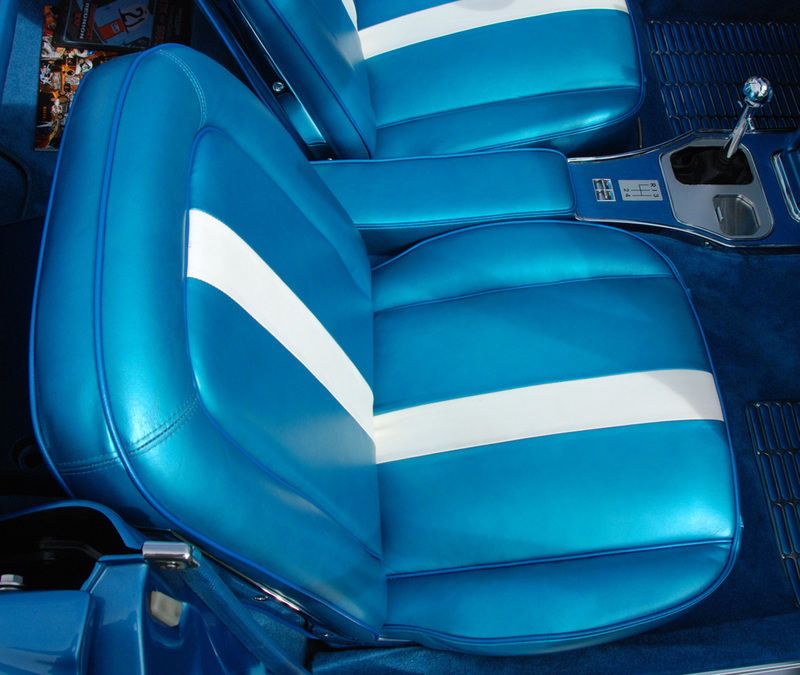 The interior is a bit overdone but does reflect the aviation motif that was popular in the 1960s. Extra gauges in the passenger area include altimeter, accelerometer, inside and outside temperature, oil temperature and vacuum pressure. 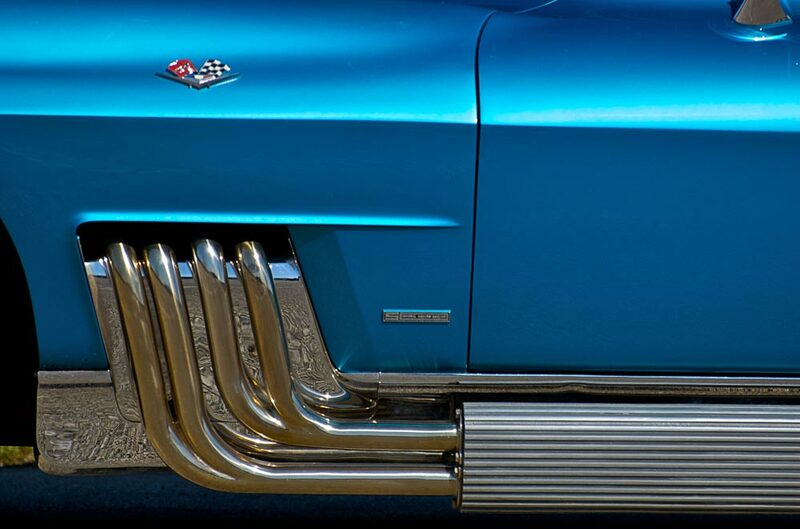 The stainless steel side exhaust is the most radical of the exterior modifications performed by the GM design staff. Side exhaust would not be available from the factory until well after 1963 and even then was a more subdued version. To accomodate the pipes exiting the engine, the battery had to be moved to behind the passenger seat. 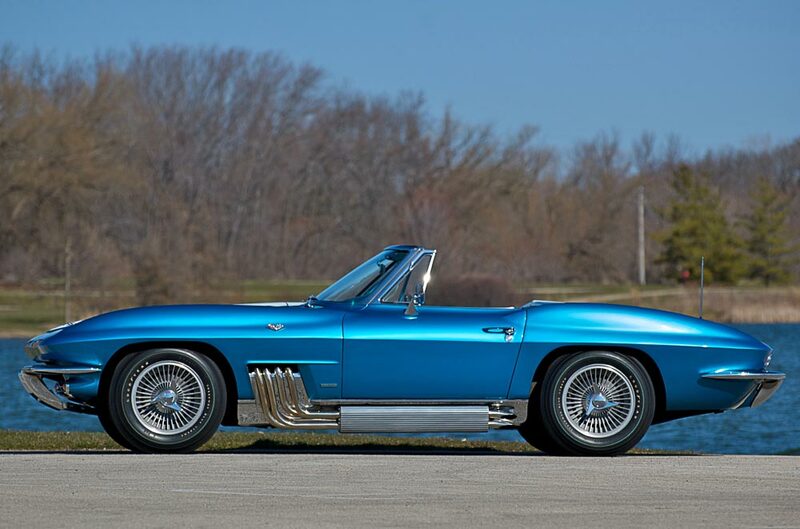 Harley Earl's special Corvette sold at Mecum auctions Spring Classic Auction for $980,500 (including buyers premium) in May 2010. The price raised some interesting debates, as the car was not created by Harley Earl but instead was created for him, so it does not necessarily reflect his styling opinions. Also the customization choices, which do have the advantage of being sourced by the GM styling staff, is of questionable success. Still it is a one-off with legitimate GM pedigree, hence the significant value. 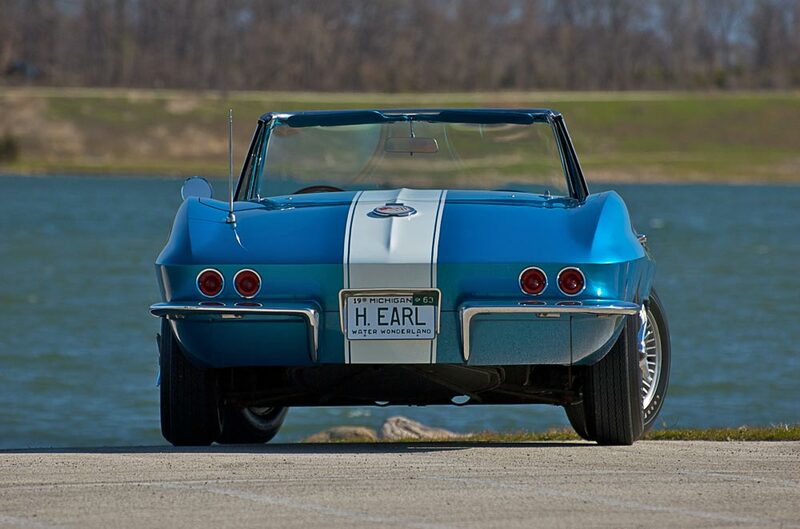 Update: Mr. Earl's Corvette went up for auction again in October 2013. The selling price was $1,500,000 ($1.65M including the buyer’s premium) representing a nice profit for somebody.